Simple but never simple-minded, this is a must watch. The first thought that ran through this writer's head was the film's good, but could have been so much better. If you are appalled by the behaviour and how 'advanced the kids are these days' Sixteen is for you. 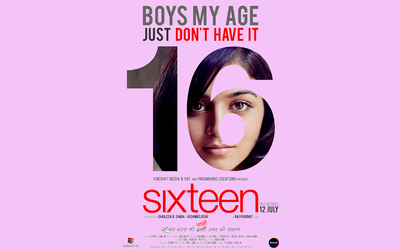 Overall, ‘Sixteen’ is a film that deals with genuine social issues of teenagers of this generation but the lack of proper execution and weak performances go against the film completely. You may easily skip this one this weekend. An average teena loses his or her innocence quite early these days, due to influences in the form of digital technology like Facebook, Twitter and popular chat messaging outlets like Watsapp and Gtalk. It deals with the pains of growing up, and adjusting to society while your hormones rage all over the place.